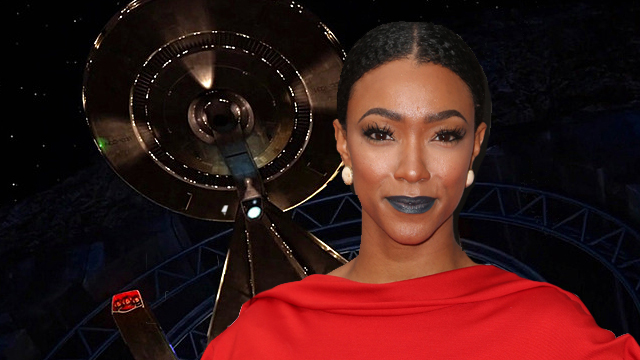 CBS appears to have found their Star Trek: Discovery lead, as EW reveals that The Walking Dead‘s Sonequa Martin-Green has signed on to play the show’s central Lieutenant Commander. Word of Sonequa Martin-Green’s casting arrives on the heels of an update that revealed three new Klingon cast members in addition to the three previously-revealed Starfleet officers. Sonequa Martin-Green joins a Discovery crew that also includes Doug Jones (Pan’s Labyrinth) as Lt. Saru and Anthony Rapp (Rent) as Lt. Stamets. Michelle Yeoh, meanwhile, is playing Captain Georgiou, in command of another Starfleet vessel. The Klingon cast includes Juilliard-trained actress Mary Chieffo, Penny Dreadful‘s Shazad Latif and Chris Obi, who also stars on Bryan Fuller‘s upcoming STARZ series, American Gods.